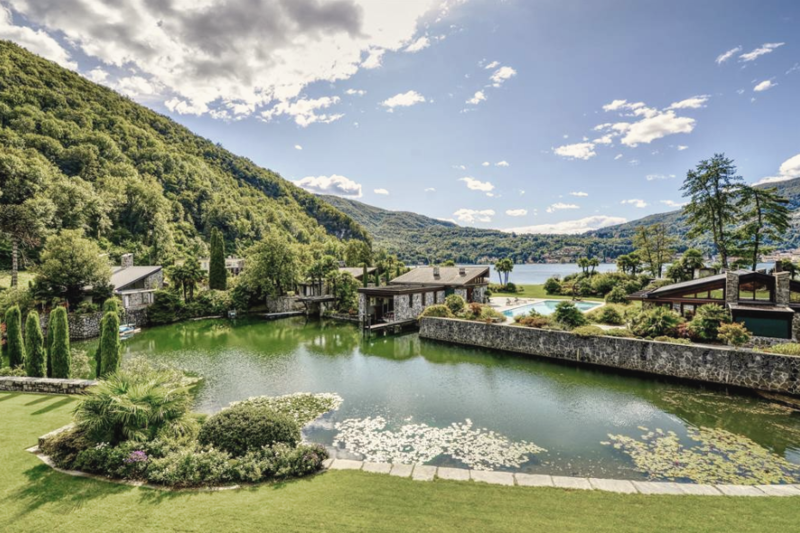 Switzerland’s Piccola Venezia — or Little Venice — is a magnificent beachfront estate in Caslano on Lake Lugano. In addition to an opulent main residence, the estate also boasts three guest homes and a boathouse, the rear of which faces the lake and comes complete with an outdoor bar, fireplace and dining area under a portico. What’s more, is that a Pedrazzini-Mahogany speedboat is included in the purchase. The massive and elegantly tiled pool even has underwater viewing windows. 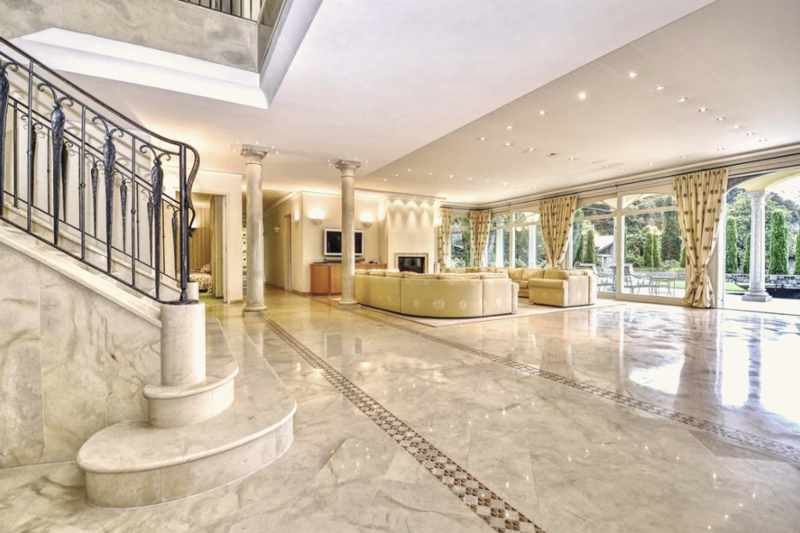 Coupled with the secondary buildings, the sweeping location features nine bedrooms and 11 bathrooms. With gently rolling lawns elevated by symmetrical beds and seasonal flower plantings, the property is appointed with 11 outdoor sculptures by 11 different artists, fountains, plus a serene and private lagoon. 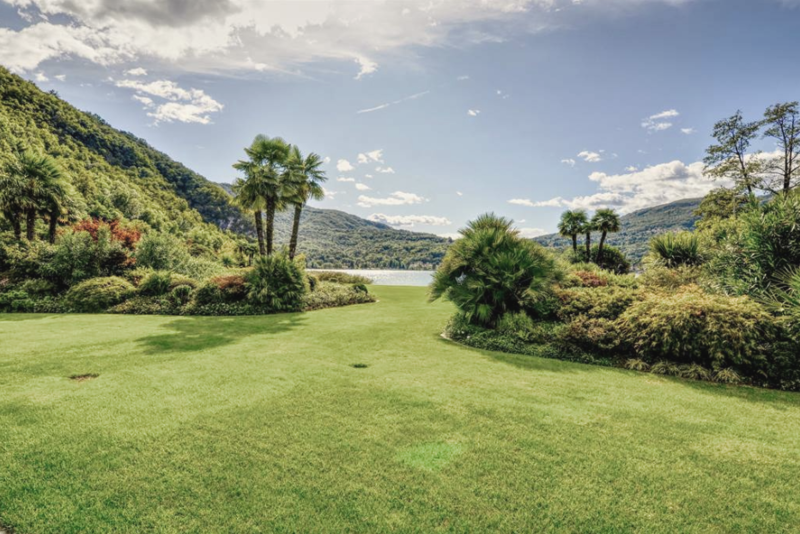 The estate also offers private beach access onto storied Lake Lugano. The lagoon, which flows in from the lake, is a unique feature of the land and inspired the estate’s name. 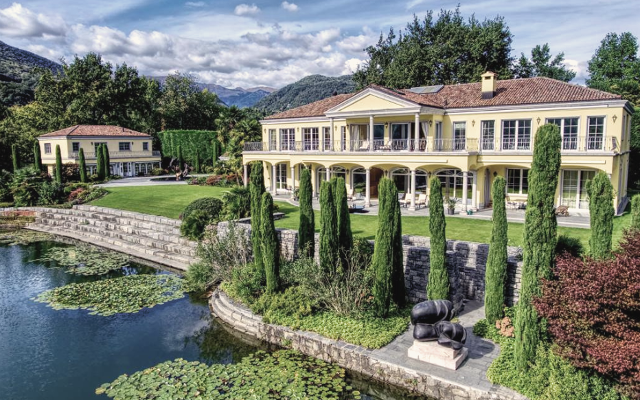 Originally purchased without the main villa by the owner in the late 1990s, architect Peter Meisser of Grisons was equally inspired by the name Piccola Venezia and built the splendid main villa on the hill, completed in 2002, with Venetian stateliness and expansive verandahs on both the ground and second levels. 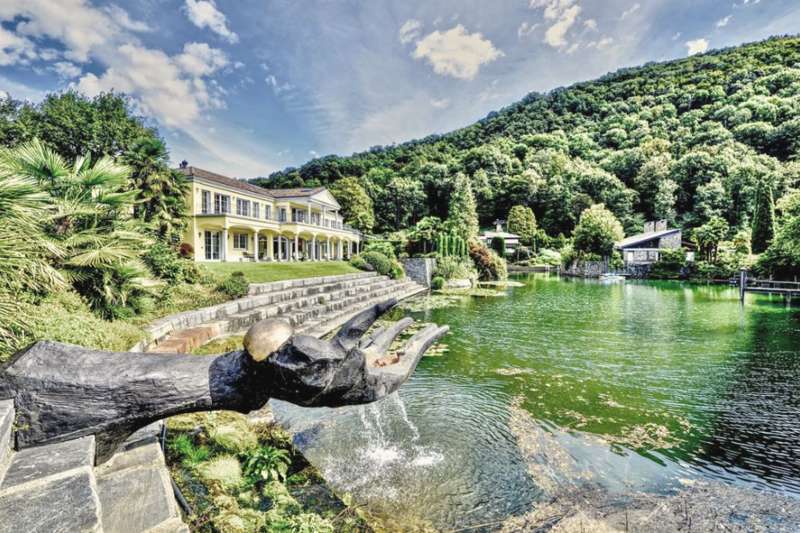 The splendid villa is introduced by a grand entry of marble embellished with columns, an impressive staircase with wrought-iron bannisters and walls of glass windows and doors leading to the verandah and framing the lagoon, lake and mountain views. Thoughtful recessed lighting in the ceiling resembles a starlit sky. Additional amenities include an opulent master suite, a relaxation zone with a sauna and oversized whirlpool, a theater, a billiards room and bar, a lounge on the upper floor with a terrace and more lake views, a large kitchen, a lift, workout facilities, plus a 12-car garage.